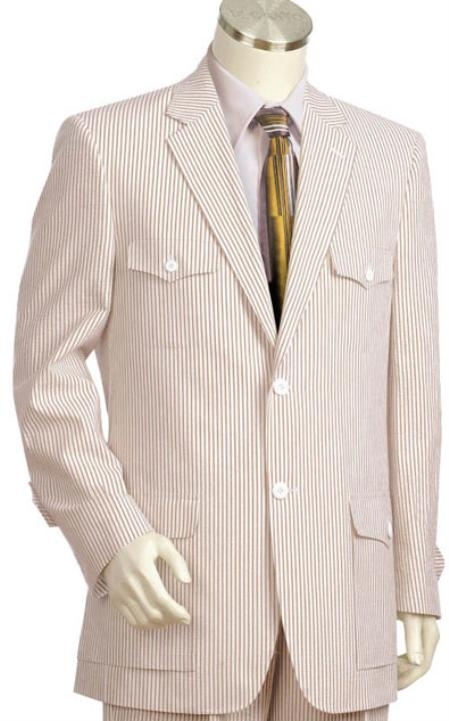 A seersucker suit is one of the famous types of suits that are extensively used during humid weather conditions and tropical countries to fight back the sweat and heat. 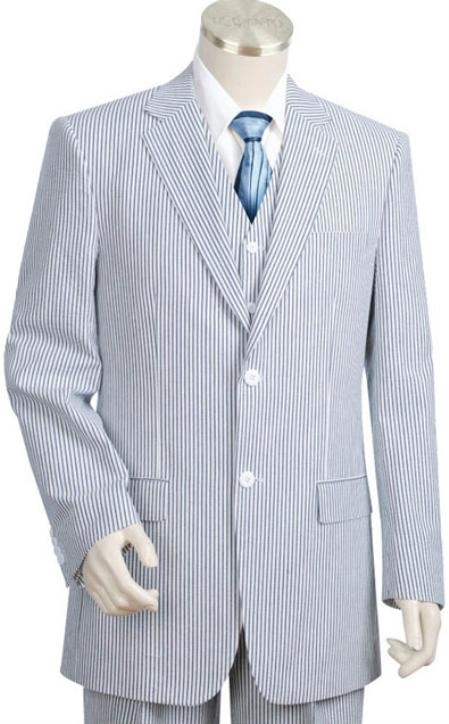 We might think that a pure cotton suit is good enough to do this task but, we can find many ways by which a seersucker suit keeps its wearer cool. There are several other natural fabric made from cotton and linen to keep off heat from a person's body but, there are equal disadvantages and limited usage of these fabrics that keep them less used that these ultimate heat killers. Though we have got several other artificial fabrics that are suitable for summer season, seersucker suits fabric is just the right one for its advantages. This special all cotton fabric is known for its airy feel when worn and has got a lot of air circulation capacity that makes it one of the most wanted suite types. The texture of the fabric is smooth and bumpy but soft which makes it perfect for summer. The seersucker is woven in such a way that it has bumps all over the fabric that aids air to run through the fabric easily. Though we can find other garments like coats, shorts and shirts being made of seersucker fabric, a suit made out of this fabric has a lot of specialties. The look and texture of the fabric is naturally crushed and has a lot of bumps so it means that they need not be pressed and it is easy to be maintained. The most common colors in which these fabrics are made is green and blue combined with white for stripes or checked patterns over it. Though these two are the most common colors that are observed in this type of fabric, fashion has made these available in all other possible colors as per demand.